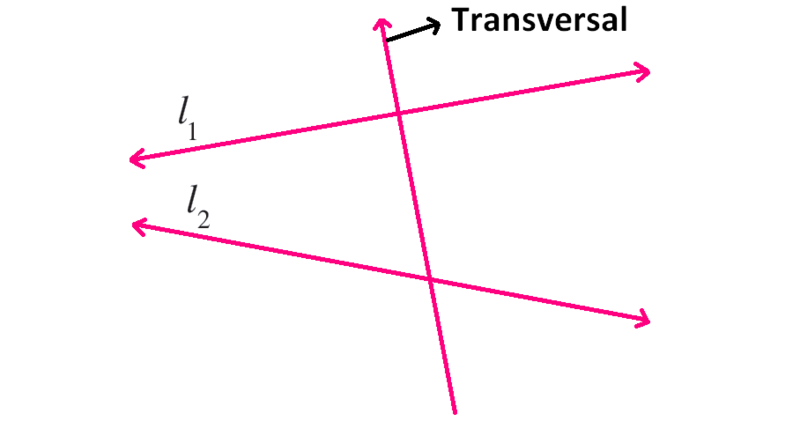 A straight line that intersects two or more straight lines at distinct points is called as transversal. A straight line intersecting two parallel lines. From the above figure, we have the following important points. Vertically opposite angles are equal. Alternate interior angles are equal. Alternate exterior angles are equal. Consecutive interior angles are supplementary. 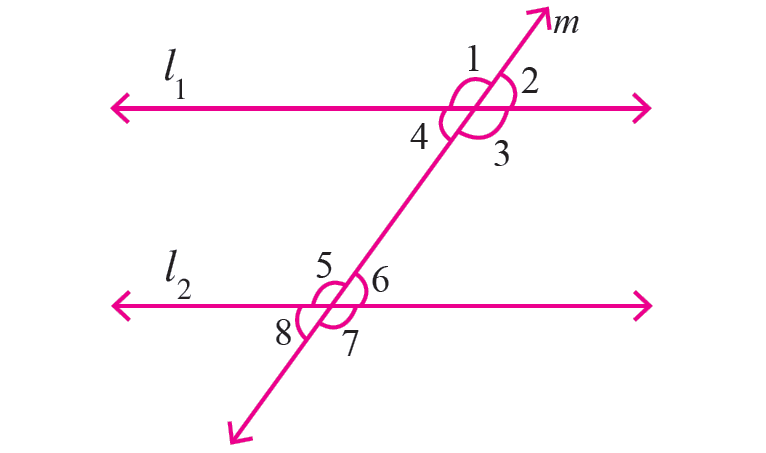 In the figure given below, let the lines l₁ and l₂ be parallel and m is transversal. If <F = 65°, find the measure of each of the remaining angles. < F and < H are vertically opposite angles and they are equal. < H and < D are corresponding angles and they are equal. < D and < B are vertically opposite angles and they are equal. 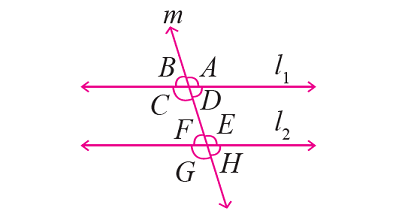 < F and < E are together form a straight angle. < E and < G are vertically opposite angles and they are equal. < G and < C are corresponding angles and they are equal. < C and < A are vertically opposite angles and they are equal. In the figure given below, let the lines l₁ and l₂ be parallel and t is transversal. Find the value of "x"
< (2x + 20)° and < (3x - 10)° are corresponding angles. < (3x + 20)° and < 2x° are consecutive interior angles. After having gone through the stuff given above, we hope that the students would have understood "Transversal lines".